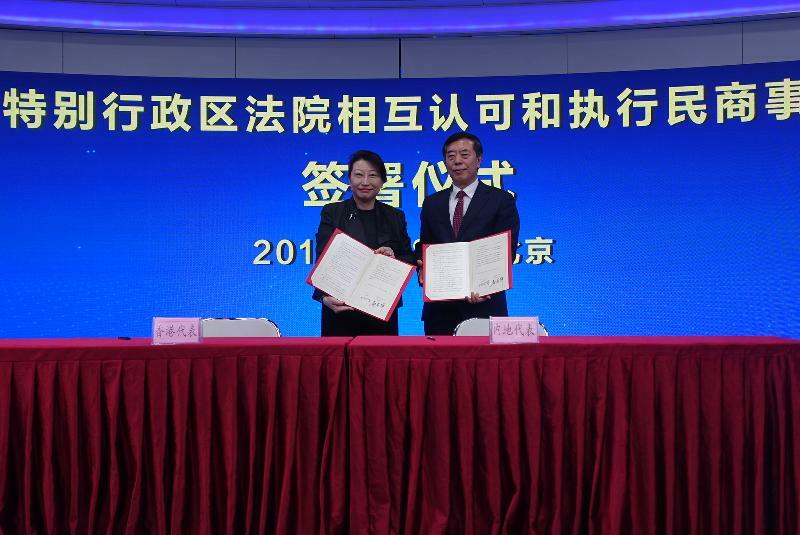 The Secretary for Justice, Ms Teresa Cheng, SC, and the Vice-president of the Supreme People's Court, Mr Yang Wanming, signed an arrangement on reciprocal recognition and enforcement of judgments (REJ) in civil and commercial matters in Beijing today (January 18). The Arrangement on Reciprocal Recognition and Enforcement of Judgments in Civil and Commercial Matters between the Courts of the Mainland and of the Hong Kong Special Administrative Region (Arrangement) seeks to establish a bilateral legal mechanism with greater clarity and certainty for REJ in civil and commercial matters between the two places. 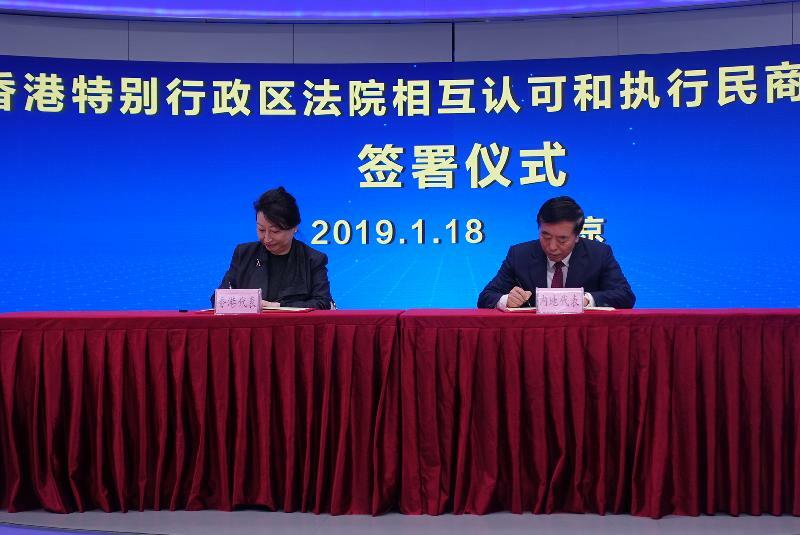 Hong Kong has by now concluded six arrangements with the Mainland concerning various aspects of mutual legal assistance in civil and commercial matters. Among them, the Arrangement is the third one providing for REJ between the two places in civil and commercial matters. 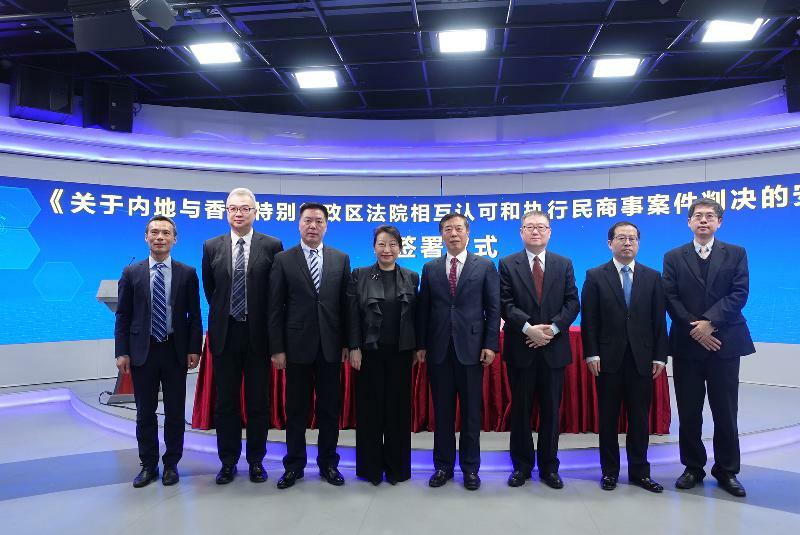 By establishing a more comprehensive mechanism for REJ with the Mainland in civil and commercial matters, the Arrangement will reduce the need for re-litigation of the same disputes in both places and offer better protection to the parties' interests. The Arrangement, apart from furthering legal co-operation between Hong Kong and the Mainland in civil and commercial matters, will enhance Hong Kong's status as a regional centre for international legal and dispute resolution services. The Arrangement applies to matters considered to be of a "civil and commercial" nature under both Hong Kong and Mainland law. Non-judicial proceedings and judicial proceedings relating to administrative or regulatory matters are excluded. The Arrangement covers both monetary and non-monetary relief. It also sets out jurisdictional grounds for the purposes of recognition and enforcement as well as grounds for refusal of recognition and enforcement. The Arrangement will be implemented by local legislation in Hong Kong. It will take effect after both places have completed the necessary procedures to enable implementation and will apply to judgments made on or after the commencement date.